Early this morning, while most of us were resting peacefully in our beds, everyone's favorite flaming ball of plasma decided to give NASA's cameras a little show. 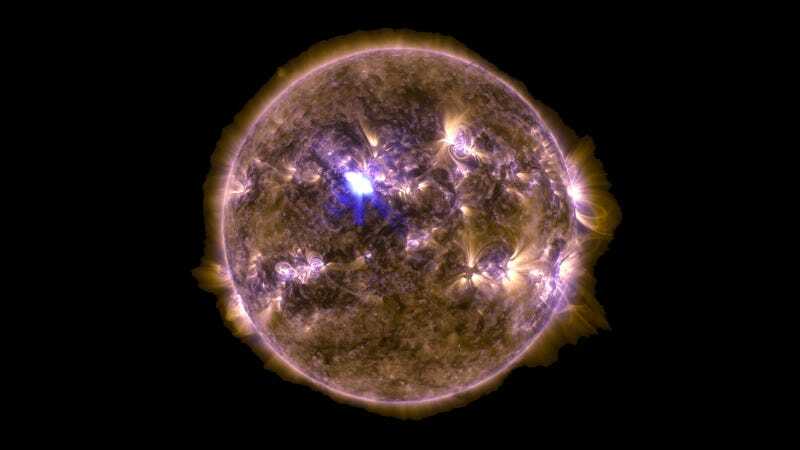 More specifically, the Solar Dynamics Observatory managed to capture our sun's biggest solar flare of the year thus far. Classified as an M6.5, it's not the hugest solar flare—that honor belongs to the X-class. But it was at least enough to cause a "moderate" radio blackout that has since subsided.